For de Piles, connoisseurship was an exercise that fundamentally necessitated first-hand study and good taste—essential principles of curatorial practice. And these were the principles that guided Charles Coypel (1694-1752) in his role as Garde des tableaux et dessins du Roi—keeper of the royal collections housed in the Louvre—a position he occupied from December 1719 until his death in June 1752. 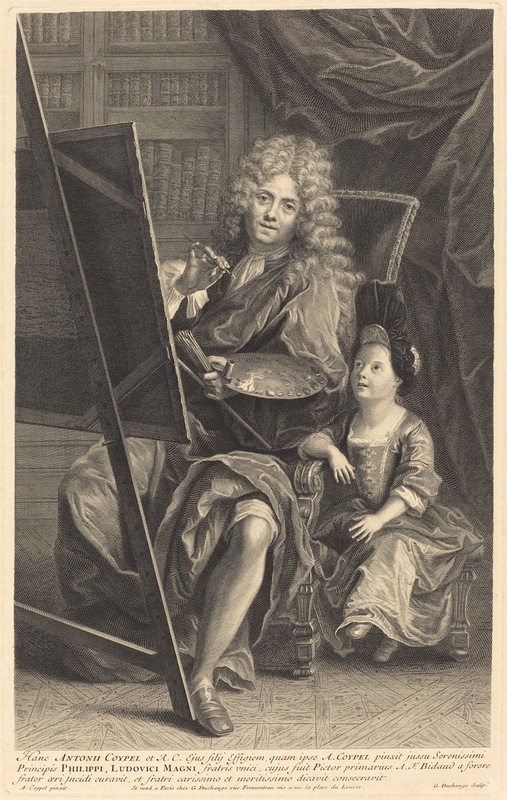 This lesser-known position outside Coypel’s conspicuously triumphant career within the Académie royale de peinture et de sculpture and ancien-régime patronage framework awarded him an annual salary of one thousand livres and was inherited from his father, Antoine Coypel (1661-1722). As guardian, custodian, or—to adopt a modern term—curator, Coypel embarked on a massive reorganization of the royal drawings collection, which was installed in his personal living quarters at the Louvre. Coypel’s role demanded concentrated connoisseurship, and it often depended on the commerce of friendship to succeed. The close examination of artworks and, moreover, the unhindered access to them, offered an opportunity for contemplation, discussion, and speculation among friends. 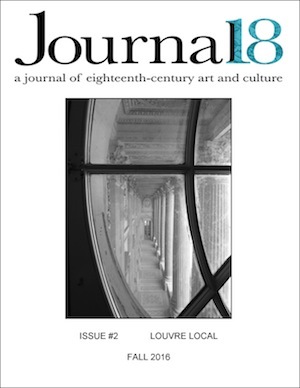 Through an investigation of Coypel’s role as a curator inhabiting the Louvre, this article explores the fundamentally social dimension of his position, revealing a curatorial practice rooted in the artist’s friendships and associations. At the same time, this article also draws attention to the crucial role played by the Louvre itself. Thanks to its character as a space that was at once domestic, professional, and royal, the palace provided the unique setting that fostered the collaborative nature of being the custodian of the king’s collections. Coypel, having been simultaneously agréé and reçu at the Académie royale de peinture et de sculpture on August 31, 1715, was not only a painter and a curator, but also an ambitious playwright. Coypel wrote, acted in, and directed numerous comedies and tragedies for public and private performances over the course of his lifetime. The grandson of Academy directeur Noël Coypel (1628-1707), and the son of another directeur, Antoine Coypel, Charles Coypel rose swiftly and assuredly within this institution—without traveling to Italy, and without the often rigorous apprenticeships required of his lesser-advantaged contemporaries. In 1747 he was appointed Premier Peintre du Roi, and the following year, like his grandfather and father, he obtained the most powerful role at the Académie when he, too, was named directeur. Fig. 1. Gaspard Duchange after Antoine Coypel, Antoine Coypel and his Son, ca. 1700. Engraving and etching on laid paper, 48 x 32 cm. The National Gallery of Art, Washington, D.C. Gift of John O’Brien, 1991.23.3. © Image courtesy of The National Gallery of Art www.nga.gov. Unlike most of his contemporaries, Charles Coypel lived at the Louvre for almost all of his life, beginning at the age of three when his father obtained a brevêt de logement in 1697. The following year, Antoine painted a self-portrait with the young Charles (later engraved by Gaspard Duchange, Fig. 1), which may have been set in one of the many spaces in the palace occupied by this elite artistic family. Under the Louvre’s Grande Galerie, near the Imprimerie Royale, the Coypels inhabited living quarters that were double the width of a normal logement. Distributed over three floors, this lodging comprised at least fifteen rooms, and after his parents’ deaths and his brother Philippe’s marriage, Charles Coypel became the sole tenant. In addition, Noël and Antoine had also occupied adjoining studios in the main palace, overlooking the Cour Carrée on one side and rue Saint-Honoré on the other. Charles would once again ultimately inherit both—measuring over three thousand square feet.A stairway from the extra-large studio led to a second floor, which was used during Antoine Coypel’s career as an academician as a meeting place. Charles likely continued to utilize this room as a sociable space to discuss academic doctrine with colleagues or read aloud his pièces de théâtre. As detailed by Rochelle Ziskin, during Antoine Coypel’s tenure as Garde des tableaux et des dessins, many of the king’s prized paintings were installed alongside the Coypels’ own collection in the family lodgings. On the first floor alone one could find, among many works, those by Raphael and his pupils, as well as three by Titian. Jonathan Richardson noted that during his trip of 1716, he also encountered in the Coypel living quarters La Joconde and La Belle Ferronière, as well as the king’s collection of drawings, including “a book of which they boast much, said to be of Mich. Angelo.” On the second floor were copies after Correggio, Giorgione, Tintoretto, Rubens, and Rembrandt. Some paintings, when in need of restoration, were brought into the Coypel apartments, such as Corregio’s Io and Jupiter (Kunsthistorisches Museum, Vienna) and Leda (Gemäldegalerie, Berlin). On the third floor were more works by Correggio, history paintings by Noël Coypel, and landscapes by Jean-Baptiste Forest, but the primary attraction was a gallery where the king’s collection of drawings was housed. When Antoine Coypel fell ill during the winter of 1719, Charles inherited the title of Garde des tableaux et dessins du roi, though it seems that his responsibility for the paintings was more or less minimal. At the time of his appointment, Coypel was twenty-five years old and had been an academician for just five years. Since the creation of the position, it had always been filled by an artist: first by Charles Le Brun in 1664, then by René-Antoine Houasse in 1690, Gabriel Blanchard in 1699, Houasse again in 1704, and Antoine Coypel in 1710. Thus, before Coypel’s appointment, the responsibility was only bestowed upon leaders with proven pedagogical records. Coypel seems to have done little with his new position during the first few years, perhaps because at this time he was consumed by writing plays and creating his ambitious Don Quixote tapestry cycle. However, an inventory prepared by Coypel affirms that in 1728 he had begun to organize the king’s drawings (Fig. 2). A multi-page manuscript, formerly in the collection of the Goncourt brothers and today at the Institut Custodia, Paris, reveals the parameters of this immense project. The inventory begins with an overall summary of the contents, divided by school—those of Raphael, Carracci, Venice, Florence, Flanders, and France. Furthermore, Coypel identified four “caisses de rebuts” including more than 2,000 sheets. He detailed the holdings within nine armoires, the first of which contained two portfolios of “mediocre” drawings. On the following page, in the right margin next to a list of additional portfolios, he added: “bon.” At the outset of this undertaking, the curator asserted his opinion not only of attribution, but also of quality. Fig. 2. Charles Coypel, “Inventaire des Desseins du Roi,” 1728. Institut Custodia, Paris, Inv. 9555. © Image courtesy of Institut Custodia, Paris. He continues that his father had attempted to remedy “this chaos” by reclassifying the drawings that could be firmly attributed to the Old Masters and then separating them from the “beautiful copies.” As Antoine Coypel’s health declined, it seems he abandoned the task. The younger Coypel writes: “When my father died, he had not yet finished this new arrangement … [and] in order to separate completely those that are truly beautiful from those that are questionable or just bad, it is necessary to reduce the king’s drawings to a smaller number.” Thus the task seemingly outlined by Coypel was to deaccession and reattribute the drawings, which contained, according to this inventory, 8,887 sheets. How could a single curator, let alone one who was taxed with other institutional responsibilities, and who had a separate and active career in the theatre, thoughtfully examine so many drawings and then organize them by school? It appears that Coypel undertook this task with the assistance of friends and advisors. This small circle included the abbé Hugues-Adrien Joly (1718-1800), who was originally destined for the clergy, with a post at Saint-Louis-du-Louvre, before being mentored by Coypel. Through the artist’s connections, Joly was given the title of commis écrivain in the Bibliothèque du Roi in 1737. Joly was by Coypel’s side during the artist’s final days as he suffered from smallpox, writing letters on his behalf when his friend was “indisposed.” And, in an act of equal poignancy, Coypel arranged for the contents of his personal library to be left to Joly upon his death. A document signed in 1747 by the Directeur-Général des Bâtiments du Roi, Charles-François Le Normant de Tournehem, indicates that Coypel enlisted Joly to remount a group of drawings on “white or blue paper … as well as write the name of the master below each of the drawings.” The practice was precarious, as many of the sheets were fragile or damaged and in need of delicate handling. In an act of necessary collaboration, Joly, an Académie outsider who lacked artistic training, was entrusted with the physical care of these objects, while Coypel confirmed each attribution. Joly would ultimately be rewarded for his tedious service and his loyalty; in 1750 he was appointed Garde des Estampes in the Bibilothèque royale—almost certainly with Coypel’s endorsement. 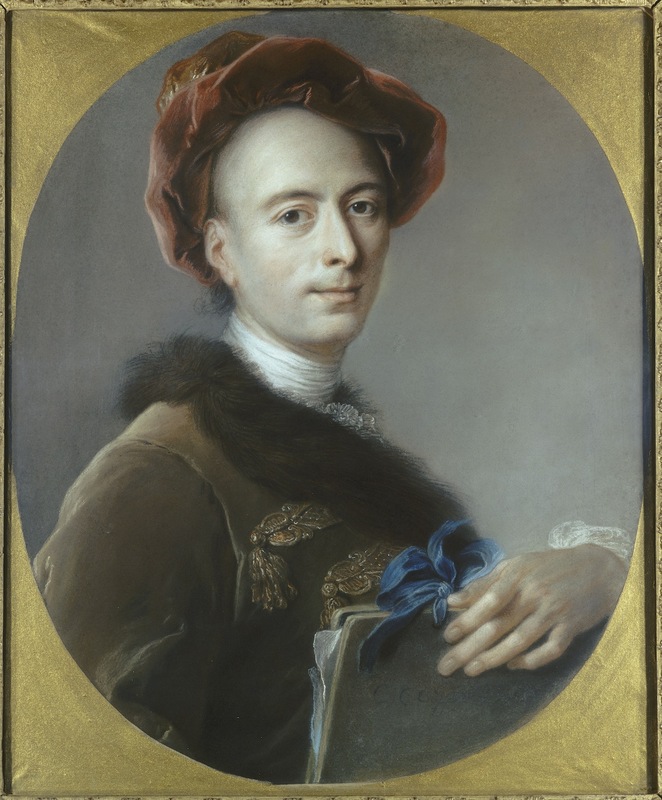 In his capacity as curator of the royal drawings collection, Coypel granted access to the noted amateur Anne Claude Philippe de Tubières, comte de Caylus (1692-1765). Caylus was a central member of Coypel’s théâtre de société, the Souper des Quinze Livres, and the two men, alongside actress Jeanne Quinault, appeared in one of Coypel’s unpublished comedies, La Répétition. Like Coypel, Caylus moved fluidly between the worlds of private theatre and the arts. As Garde des dessins, Coypel enlisted his friend in an ambitious project to reproduce more than two hundred of the king’s drawings. Caylus visited Coypel in his luxe living quarters, and together they selected a group of drawings that best represented the royal collection, many of which had been acquired during the great sale of Everhard Jabach (1618-1695) to Louis XIV in 1671, which included well over 5,000 sheets. Judging from the inscriptions at the lower margins of the plates, it appears that the two men collaborated in the printmaking process. In one such etching, executed by both Coypel and Caylus after a drawing formerly attributed to Michelangelo—Study for a Medici Tomb in San Lorenzo (Fig. 3)—the inscription forms the most powerful of companies: the Italian old master, Caylus (C.), Carolus que Coypel, and the king of France (Fig. 3a). Fig. 3. Charles Coypel and comte de Caylus, after a drawing attributed to Michelangelo, Study for a Medici Tomb in San Lorenzo. Etching and engraving, 30.5 x 19.8 cm. Bibliothèque Nationale de France, Paris, Inv. No. E. 98b, in fol., p. 415. © Bibliothèque Nationale de France, Paris. Fig. 3a. Detail of Fig. 3. Caylus participated in the two major reproductive etching projects of the eighteenth century—the Recueil Jullienne and the Recueil Crozat. The latter two-volume publication, also called Recueil d’estampes d’après les plus beaux tableaux et d’après les beaux desseins qui sont en France, included images after the finest paintings and drawings by Italian Renaissance and Baroque artists from the collections of the king, the duc d’Orléans, and collector and connoisseur Pierre Crozat. Select works were brought to Crozat’s town house and displayed in a specially designated gallery, where artists and amateurs would meet to discuss the objects’ relative merit, while the printmaking process simultaneously took place in a nearby space, likely on the ground floor. Coypel’s own gathering and initiative was similar to that of Crozat’s; however, by virtue of his status as an academician, Coypel’s initiatives had origins in the Académie royale, and it transpired within the walls of the royal palace. Furthermore, he was no mere amateur, but an artist of the highest order—having been born into one of the most powerful families of history painters. The precedent was to be found in the example of his father. According to Coypel fils, his father invited “Maîtres de l’Art et les amateurs les plus renommés” to his lodgings one day a week for several winters to converse in front of works of art in his care. Antoine Coypel was close friends with François de Troy, Nicolas de Largillière, Hyacinthe Rigaud, and Charles-Antoine Hérault, who were likely among the guests. Fig. 4. Charles Coypel, Portrait of Cornelis Galle, Jr. Black and red chalk, graphite, pen with brown ink, and brush with brown wash, 20.5 x 15.9 cm. The Metropolitan Museum of Art, New York. Bequest of Bessie Potter Vonnoh, by exchange, 1996.117. © Image courtesy of The Metropolitan Museum of Art www.metmuseum.org. Coypel’s tenure as Garde des dessins is referenced in a Portrait of Cornelis Galle, Jr. in the Metropolitan Museum of Art (Fig. 4) after a now lost drawing or miniature. Upon the distinctive blue mount (making it immediately recognizable as a work from Pierre-Jean Mariette’s collection), the cartouche reads “Carolus/Coypel/ex autographo/in Collect. Reg.” The drawing was likely part of lot 1397 in Mariette’s posthumous sale of 1775, a lot containing “fifty portraits of famous people in the arts, drawn in pastel, black chalk, and wash, executed with care by different artists.” Significantly, this was the only drawing by Coypel in Mariette’s massive collection that otherwise contained many sheets by contemporary artists, and, moreover, it was not one of Coypel’s own invention. Mariette likely acquired it for the history of printmaking that he was compiling, which included “biographies of the most celebrated printmakers,” rather than as an object that he venerated in and of itself. If Mariette did not prize Coypel’s talent as a draftsman, he likely appreciated the access to great works of art that his friend could provide. Mariette was among the select visitors invited to Coypel’s apartments to look at drawings, reporting that “one would find the most distinguished company chez Coypel.” Such sociable meetings are also mentioned in the preface that Mariette wrote for Coypel’s posthumous sale catalogue of 1753, in which he described how the artist would open portfolios of the king’s drawings for invited guests. Fig. 5. School of Raphael, Saint Paul Preaching to Athens. Brush with brown wash, heightened with white, 27 x 40 cm. Musée du Louvre, Paris. © RMN-Grand Palais /Art Resource, NY. If one is to believe this anecdotal account of Coypel’s questionable Raphael drawings, then the designation of the attribution, and Mariette’s subsequent defense of them, was governed by the bonds of friendship. Mariette honored his friend by not rejecting the identification of these valuable sheets; if he had conceded that their attributions were incorrect, their intellectual camaraderie would have been broken. Drawings clearly functioned as symbols of fellowship and objects of sociability within this private connoisseur circle. Fig. 6. Charles Coypel, Self Portrait, 1739. Pastel, 65 x 53 cm. Musée des Beaux-Arts, Orléans. © RMN-Grand Palais /Art Resource, NY. Coypel’s reorganization of approximately nine thousand drawings was undeniably ambitious. And, judging by his self-portrait of 1739, he seems to have been aware of his privileged role as gatekeeper (Fig. 6). Holding a portfolio tied together with a bright shock of blue satin ribbon, Coypel looks directly at the viewer, his left hand grasping this precious cache that he pushes to the foreground. His fingers, which are intricately crosshatched in blue, pink, and yellow pastel, rest gently on the hard protective surface, guiding our gaze to this important part of the composition (also the place where he has conspicuously added his signature). This is an intimate image—the usually exquisitely dressed artist appears sans perruque, his thinning hair exposed—which suggests he is in a private and familiar space. Coypel granted his circle a favor by offering them access to otherwise closeted objects, and, in exchange, they offered him their labor, insight, and loyalty—all within the closed network extending through the Louvre, where connoisseurs and Academy outsiders were treated as social equals. Dorsimond: [Drawings are] one of my greatest riches … my ninety pure, fresh, ravishing Correggios; my three hundred Titians; my one thousand and thirty-one Carracis; my four hundred and six Michelangelos, which are terrible … my drawings must be valued at five or six hundred thousand francs. In the latter passage, as well as in many pivotal plot moments, the punch line involves a mistaken attribution—particularly the inability to identify a copy. The ultimate affront a connoisseur could make was to doubt the credibility of an object: a predicament Coypel certainly understood from his own experience, and an indignity to which he was vulnerable even after death. Sausoncourt: Yes, Monsieur, you have one of the best drawings Zuccaro ever made. These flawed characters reflect Coypel’s view that an enviable collection can only be formed by one who possesses both knowledge and experience. This comedy was never performed publicly, and it was likely one of the many plays that he read aloud or staged before friends in the privileged space of his home. La Curiosi-manie pointedly satirizes the artists and amateurs who would have been politely sitting in the audience. In the Louvre, surrounded by Coypel’s own impressive collection of paintings, drawings, and sculpture—as well as those objects entrusted to him by the king—they would have been reminded of his role as curator. It was his duty to be able to distinguish an artist’s hand, but even more so to privilege works of the most exceptional quality. The curator-artist-playwright was unlike the fictional fools of his imagination. Acknowledgements: Thank you to the anonymous readers, the editors of Journal18, Leslie Dutcher and Diana Murphy, David Pullins, and especially Mark Ledbury and Hannah Williams for countless Coypel conversations. “Il y a trois sortes de Connoissances sur le fait des Tableaux. La première consiste à découvrir ce qui est bon & de mauvais dans un même Tableau. La seconde regarde le nom de l’Auteur. Et la troisième, va à savoir, s’il est Original ou Copie.” Roger de Piles, Abrégé de la Vie des Peintres, avec ces réflexions sur leurs Ouvrages, et un Traité du Peintre parfait, de la connoissance des Desseins, & de l’utilité des Estampes (Paris: François Muguet, 1699), 93. “Quand un Curieux aura donc bien considéré les différens Tableaux d’un Maître, & qu’il s’en sera formé une idée complette de la manière que je viens de dire, pour lors, il luy sera permis de juger de l’Auteur d’un Tableau, sans être soupçonné de témérité. Cependant quoy qu’un bon Connoisseur, habile par ses talents, par ses réflexions, & par sa longue expérience, puisse quelquefois se tromper sur le nom de l’Auteur, (car qui ne se trompe point?) il sera du moins vray de dire, qu’il ne peut se tromper sur la justesse & sur la solidité de ses sentimens.” De Piles, Abrégé de la Vie des Peintres, 97. “Le 21 M. Coëpel le fils a obtenu du Roy la survivance de la garde des Desseins & Tableaux de S.M. La Charge de Garde des Médailles du Roy, vacante par la mort de M. Simon, a été donnée à M. de Boze de l’Académie Françoise, & Secrétaire de l’Académie des Inscriptions & Belles Lettres.” Le Nouveau Mercure, December 1719, 178; Thierry Lefrançois, Charles Coypel: Peintre du Roi, 1694–1752 (Paris: Arthena, 1994), 91. See Genevieve Warwick, “Gift Exchange and Art Collecting: Padre Sebastiano Resta’s Drawing Albums,” The Art Bulletin 79:4 (December 1997), 630-646. Esther Bell, “Charles Coypel, entre peinture et théâtre de société,” in Le Théâtre des Passions (1697–1759): Cléopâtre, Médée, Iphigénie, exhib. cat. (Nantes: Musée des Beaux-Arts, 2011), 54–67. Nicole Garnier, Antoine Coypel: 1661-1722 (Paris: Arthena, 1989), 22. On artists’ living quarters at the Louvre, see Jules-Joseph Guiffrey, “Logements d’artistes au Louvre,” in Nouvelles archives de l’art français (1873), 1–120. Lefrançois, Charles Coypel, 42–43; Katie Scott, “Parade’s End: On Charles-Antoine Coypel’s Bed and the Origins of Inwardness,” in Interiors and Interiority, ed. Ewa Lajer-Burcharth and Beate Söntgen (Berlin/Boston: De Gruyter, 2017), 23–28. Lefrançois, Charles Coypel, 42-43. François Boucher would inherit the grand space following Coypel’s death. See Katie Scott and Hannah Williams, “Everyday lives and luxury objects: François Boucher’s shells and Charles-Antoine Coypel’s watch,” in Le commerce du luxe: production, exposition et circulation des objets précieux du Moyen Âge à nos Jours, ed. Natacha Coquery and Alain Bonnet (Paris: Mare & Martin, 2015), 234. “Dans les appartements servants d’académie audit deffunt sieur Coypel, situés dans la Cour du Vieil Louvre, au premier, dans un cabinet ayant vue sur ladite Cour du Vieil Louvre.” Nicole Garnier, Antoine Coypel: 1661-1722, 253. See also Rochelle Ziskin, Sheltering Art: Collecting and Social Identity in Early Eighteenth-Century Paris (University Park, PA: Pennsylvania State University Press, 2012), 135. Ziskin, Sheltering Art, 134­-136. Antoine Coypel was responsible for the royal collection housed in Paris, while Nicolas Bailly served as Garde des Tableaux de Versailles from 1699­–1730. See Fernand Engerand, Inventaire des Tableaux du Roy, Rédigé en 1709 et 1710 par Nicolas Bailly (Paris: Erneset Leroux, 1899), xxvii. 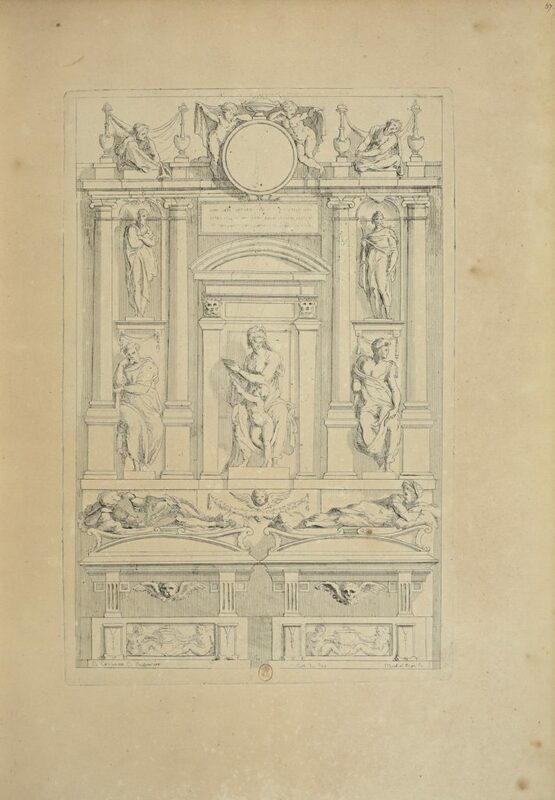 Jonathan Richardson, An Account of the Statues, Bas-reliefs, Drawings and Pictures in Italy, France & c. with Remarks (London: D. Browne, 1754), 15-19; Ziskin, Sheltering Art, 135. See Coypel sale, Paris, March 27, 1753, lot 2. Archives Nationales, Paris, O1 1965 (3); Lefrançois, Charles Coypel, 91. Charles-Nicolas Cochin II would succeed Coypel in this role, which would earn him the latter’s coveted living quarters. Lefrançois, Charles Coypel, 91. Charlotte Vignon, Coypel’s Don Quixote Tapestries: Illustrating a Spanish Novel in Eighteenth-Century France, exhib. cat. (New York: Frick Collection, 2015). Institut Custodia, Paris, Inv. 9555. See also Nicole Garnier, Antoine Coypel: 1661-1722; 35–36; Lefrançois, Charles Coypel, 91–94; Esther Bell, “Charles Coypel and the Age of Eclecticism,” in Genius & Grace: François Boucher and the Generation of 1700, exhib. cat. (Boston: The Horvitz Collection, 2014), 35–36. “Les desseins du Roi sont aujourd’hui dans un ordre très different de celui où ils étoient lorsque ce depôt fut reunis a la garde des mon Père … Les desseins originaux et les copies étoient pêle-mêle dans de vieux portefeuilles et malheureusement le nombre des copies est sans nule comparaison plus considerable que celui des originaux.” Institut Custodia, Paris, Inv. 9555. “Lorsque mon Père mourut il n’avoit pu donner encore à ce nouvel arrangement … pour séparer entièrement ce qui est vraiment beau de qui est douteux ou même mauvais il faudroit réduire les desseins du Roi à un trop petit nombre.” Institut Custodia, Paris, Inv. 9555. According to Thierry Lefrançois, the total number of drawings is listed inconsistently. Archives Nationales, Paris, O1 1965 (8), “Carton contentant un État des Desseins du Roy, dressé en 1725 par M. Coypel” (although it should be noted that the dates 1727 and 1728 appear frequently in this document). Lefrançois, Charles Coypel, 132 n328. Furthermore, upon Coypel’s death, 9,040 drawings were counted in his residence. See Marc Furcy-Raynaud, ed., “Correspondance de M. de Marigny avec Coypel, Lépicié et Cochin [1751–1773],” Nouvelles archives de l’art français: recueil de documents inédits XIX [1751–1764] (1903), 21. “Je pleure encore la perte du dernier [Coypel], qui m’avoit pris par adoption, comme si j’eusse été son fils.” Hugues-Adrien Joly, Lettres à Karl-Heinreich Von Heinecken, 1772–1789, ed. W. McAllister Johnson (Paris: Bibliothèque Nationale de france, 1988), 109; Laure Beaumont-Maillet, Les gardes et directeurs du département des estampes de 1720 à 2006 (Paris: Bibliothèque Nationale de France, 2010), 5, no. 6. Joly writes: “M. Coypel auroit répondu lui-même, à votre lettre, Monsieur, si sa santé eut été meilleure.” Marc Furcy-Raynaud, ed., “Correspondance de M. de Marigny avec Coypel, Lépicié et Cochin [1751–1773],” 8. Archives Nationales, Minutier central, LXXVI-335, June 13, 1752; Minutier central, LXXVI-338, November 28, 1752; Lefrançois, Charles Coypel, 89, 131 n315-316. “[P]apier blanc ou bleu … comme aussi d’écrire le nom du maître au bas de chacun des Desseins…” “Mémoire sur les frais qu’exigent les Desseins à coller du Cabinet du Roy à la Garde de M. Coypel Premier Peintre du Roy.” Archives Nationales, O1 1965 (2); Lefrançois, Charles Coypel, 92. Charles Coypel, “Prologue pour la Comédie de la Répétition,” Bibliothèque Nationale de France, Département des Manuscrits, FF 24351, fol. 31; Esther Bell, “Charles Coypel: Painting and Performance in Eighteenth-Century France” (PhD dissertation, Institute of Fine Arts, New York University, 2011), 106. Jonathan Brown, Kings & Connoisseurs: Collecting Art in Seventeenth-Century Europe (Washington D.C.: Trustees of the National Gallery of Art, 1995), 208-212. Joly writes in a letter dated July 17, 1782: “Charles Coypel a gravé conjointement avec M. le comte de Caylus, avec lequel il étoit très lié d’amitié, nombre de morceaux d’après les Dessins du Cabinet du Roy et de différents autres Cabinets.” Joly, Lettres à Karl-Heinreich Von Heinecken, 114. Attributed to Michelangelo, Study for a Medici Tomb in San Lorenzo. Paris, Musée du Louvre, Inv. 838. See Esther Bell, “Charles Coypel and the Age of Eclecticism,” 35-36. “Plus tant dans le haut que dans le bas de la ditte armoire on trouve les desseins declaser [sic] copies que j’ai reliré de la neuvième armoire…” Institut Custodia, Paris, Inv. 9555. Peter Eley, “What about Responsibility?,” in Ten Fundamental Questions of Curating, ed. by Jens Hoffmann (Denver: Mousse Publishing, Fiorucci Art Trust, 2013), 115. When Caylus died in 1765, he donated these 223 etchings and engravings to the Cabinet du roi. Samuel-Élie Rocheblave, Essai sur le comte de Caylus, l’homme, l’artiste, l’antiquitaire (Paris: Hachette, 1889), 162; Joly, Lettres à Karl-Heinreich Von Heinecken, 172 n171; Anatole Montaiglon, Procès-Verbaux de l’Académie Royale de Peinture et de Sculpture, 1648–1793 (Paris: Charavay Frères. Librairies de la Société, 1885), vol. 6, 54–56. On Caylus’s status within the Académie, and Coypel’s active reforms surrounding the status of the honoraire, see Charlotte Guichard, Les amateurs d’art à Paris au XVIIIe Siècle (Seyssel: Champ Vallon, 2008), 23–52. Francis Haskell, The Painful Birth of the Art Book (London: Thames & Hudson, 1987), 18–57; Benedict Leca, “An Art Book and its Viewers: The ‘Recueil Crozat’ and the Uses of Reproductive Engraving,” Eighteenth-Century Studies 38:4 (Summer 2005), 623-649; Rena M. Hoisington, “Learning to Etch,” in Artists and Amateurs: Etching in Eighteenth-Century France, exhib. cat. (New York: Metropolitan Museum of Art, 2013), 28–30. Ziskin, Sheltering Art, 157–162; Kristel Smentek, Mariette and the Science of the Connoisseur in Eighteenth-Century Europe (Farnham: Ashgate, 2014), 101-103. Charles Coypel’s life of Antoine was published in Bernard Lépicié, Vies des Premiers Peintres du Roi depuis M. Le Brun, Jusqu’à présent (Paris: Durand, Pissot fils, 1752), vol. 2, 32; see also Charles Coypel, Oeuvres (Geneva: Slatkine reprints, 1971), 195; Garnier, Antoine Coypel: 1661-1722, 35–36. Lépicié, Vies des Premiers Peintres du Roi, vol. 2, 38. Pierre Rosenberg and Laure Barthélemy-Labeeuw, Les dessins de la collection Mariette: École française (Milan: Mondadori Electa, 2011), 1, 518, no. F1636. Smentek, Mariette and the Science of the Connoisseur, 214–216. “On se réunissoit chez lui et l’on y trouvoit la meilleure compagnie.” Pierre-Jean Mariette, Abecedario de Pierre-Jean Mariette et autres notes inédites de cet amateur sur les arts et les artistes, ed. P. de Chennevières and A. de Montaiglon (Paris: Dumoulin, 1851-1860), vol. 2, 30. “Il ouvrît les porte-feuilles de desseins, dont le roi Louis avoit confié la garde, et que, les accompagnant de ses judicieuses observations, il fît naître dans les spectateurs l’estime et la vénération dont il étoit pénétré lui-même pour ces excellentes productions de l’art.” Mariette, Abecedario, vol. 2, 34; “Ce fut là [chez M. Coypel] où je lui vis prendre les premières leçons de dessein, et depuis je ne l’ay plus perdu de vue.” Mariette, Abecedario, vol. 4, 57. See also Smentek, Mariette and the Science of the Connoisseur, 96. These drawings are today in the Musée du Louvre, Département des Dessins, Inv. 3863; Inv. 3884; Marc Furcy-Raynaud, “Correspondance de M. de Vandières, marquis de Marigny, directeur général des Bâtiments du roi, avec Coypel, Lépicié et Cochin,” 34, 73. “On a demandé audit sieur Mariette pourquoi il avoit mis dans son catalogue que tels ou tels dessins étoient de Raphaël? Il a répondu que, M. Coypel étant de ses amis, il n’avoit point voulu détruire les objets, dont il s’étoit chargé de faire la description pour les faire valoir, d’autant plus que ces desseins avoient toujours passé pour être des originaux de Raphaël; que n’ayant pas voulu faire du tort à succession, il avoit laissé subsister la bonne réputation qu’ils avoient depuis longtemps. . . . Les amateurs feront là-dessus le commentaire qu’ils jugeront à propos, ne pouvant cependant se dispenser de louer le zèle particulier dudit Mariette pour son ami.” Bibliothèque Nationale de France, Département des Estampes, Yd. 20. See Warwick, “Gift Exchange and Art Collecting,” 637, 640. Warwick, “Gift Exchange and Art Collecting,” 638. Charles Coypel, La Curiosi-manie, ca. 1740. Bibliothèque centrale des Musées nationaux, Paris, MS 0591 (01, 01); see also Esther Bell, “Behind Closed Doors: Charles-Antoine Coypel and le théâtre de société,” in Artistes, savants et amateurs: art et sociabilité au XVIIIe siècle (1715-1815): actes du colloque international, organisé du 23 au 25 juin 2011 à l’INHA (Paris: Mare & Martin, 2016), 61. Sausoncourt: “Oui, Monsieur, vous avez là un des meilleurs dessins que Zouccaro ait jamais fait.” Dorsimond: “Zouccaro! C’est vraiment bien un Corrège.” Charles Coypel, La Curiosi-manie. In the same passage in which Mariette mentions Coypel opening the king’s portfolios of drawings, he reports that he would read his “aimables pièces de théâtre.” Mariette, Abecedario, vol. 2, 34.